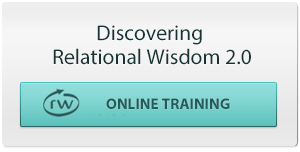 Relational Wisdom 360 (RW360) is training a network of instructors who are licensed to teach relational wisdom in a variety of settings, including churches, ministries, businesses, and schools. If you would like to request the name of a Certified RW Instructor who could serve your church or organization, please complete the Speaking Request Form. If you’d like to contact potential instructors directly, please use the information on the map below to identify those in your region and ask them for more detailed information on their education, experience, theology, church background, and availability. (Email addresses will appear when you click on map flags). Map of Instructors: Some cities on the map below have more than one certified instructor. When you click on a marker and see a number in the upper right hand corner of the drop box, you can click the button to scroll through the roster of instructors in that community. If you scroll to below the map, you will see instructors listed by state and city. Please note that the advertisements associated with the map are inserted by Google and do not represent an endorsement by RW360. Use the grey slider at the right edge of the map to view a complete list of all Certified Instructors. One Response to "Certified Instructors"